Welcome to the Mother's Day MamaLOVE Giveaway Hop hosted by MamaNYC! Over 50 bloggers are participating and featuring giveaways with prizes valued over $25.00 each. Mother's Day is just around the corner, so hopefully you will find some amazing gift ideas and hopefully win some prizes for mom! This event begins on May 1st and will end May 6th @ 11:59PM (EST). Don't forget to scroll to the bottom of this post and hop down the list for many more chances to win great prizes! I have one fantastic sponsor for this event. 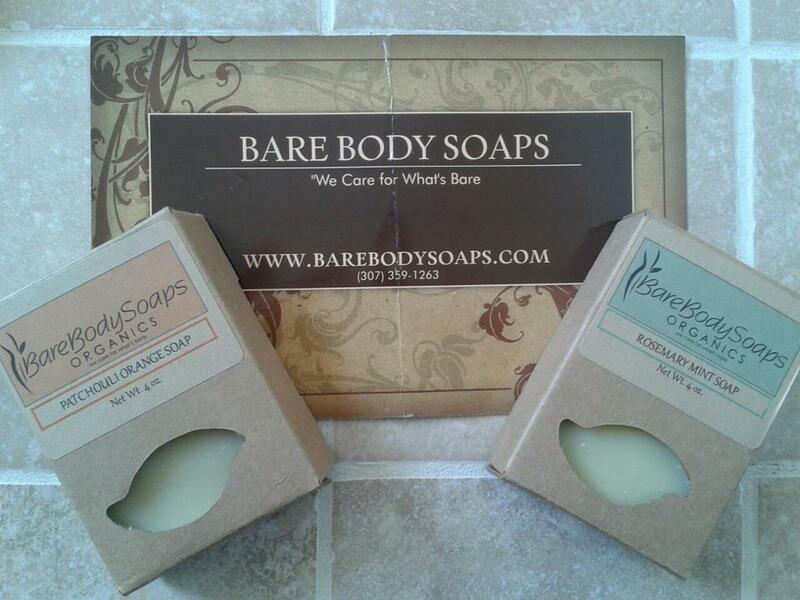 I was so very pleased with Bare Body Soaps that I wanted to utilize them as a sole sponsor for a Mother's Day Event!! Rosanne Muncy is an amazing soap maker. I have posted before that I made soap for years when we were raising Dairy Goats. Making soap is an in depth process. It takes precision, practice, and a desire to produce great soap products. It also takes great knowledge and wisdom to produce an organic, healthy soap for your body. Rosanne's soaps are amazing in both their scent and their moisturizing qualities. Bare Body Soaps only uses certified organic oils and their products are vegan and cruelty free. Look at this fantastic scent list.. so natural!! I could smell the essential oils in these soaps when I took them out of the box, and they gave such a natural scent as they sat to be used on the counter. My bar was long lasting and the Patchouli Orange scent was simply refreshing! I honestly can not say enough about these soaps. I know I review many different soaps, but this truly is one of my very favorites! I will be buying from Bare Soaps in the near future. $5 for a 4 ounce bar of organic soap like this is a Wonderful buy!! Bare Body Soaps is giving one of my readers a 6 pack Gift Set of Soap for this Mother's Day event!!! I suggest you stop over and purchase your soaps for the rest of the Mother's in your family so that you will have them in time for the special day. They will absolutely LOVE these soaps!! Use the rafflecopter for your entries. USA only. Remember to follow the Linky for many more giveaways!! the Patchouli Orange scent sounds divine! Cocoamint or the lemongrass ones. Patchouli Orange Soap sounds awesome! Cocoamint sounds really good to me. I like lavender and rosemary mint : Kelly F.
The Man Soap and the Almond Soap sound delicious. The Rose Geranium soap sounds AMAZING to me! Almond Soap sounds great to me! Patchouli Orange, I love citrus! I would love to try the Rosemary mint scent. The oatmeal sounds awesome! I love a good exfoliant soap! Thanks for the giveaway! The lavendar sounds good to me. The Patchouli Orange would probably be my first choice - especially since my wife loves Patchouli. Patchouli Orange sounds nice to me. Rosemary Mint!! Never heard of this combination before!! The Patchouli Orange sounds wonderful. Thanks for a very cool giveaway. I think either the almond or the oatmeal!!! Rose Geranium- my two very favorite scnets- TOGETHER! Which soap scent sounds wonderful to you? The CocoaMint Soap sounds great! I love lavender scents and I think theirs will smell divine. id love to try the Rosemary Mint Soap, and the green tea! The Patchouli Orange Soap sounds wonderful. The Lavender Soap sounds wonderful!